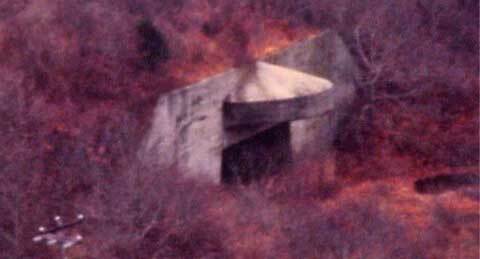 The Montauk Project was said to be a series of secret United States government projects conducted at Camp Hero or Montauk Air Force Station on Montauk, Long Island for the purpose of developing psychological warfare techniques and exotic research including teleportation, parallel dimensions, and time travel. Its preliminary experimentation began at the Brookhaven National Laboratories. Dr. John Von Neumann attempted to link computers with minds and was apparently successful beyond his wildest dreams. Using this computer-human link, Von Neumann could affect others minds and was eventually able to open a time vortex back to 1943 to the Philadelphia Experiment. He even made claims that the mind could create matter at any point in time. He also claimed to have sent a man named Preston B. Nichols through two times lines, a fact which was actually confirmed by Duncan Cameron in 1985 (Montauk). Cameron was trained by the National Security Agency, so his testimony is valid. Many people believe that the Montauk Project is continuing to this day, although much of the information available about it is only rumor. In 1943, radar invisibility was being researched aboard the USS Eldridge under the title of 'Montauk Project'. Since the USS Eldridge was docked in the Philadelphia Naval Yard, it is commonly referred to as 'The Philadelphia Experiment'. Now the objective of the project was to make the ship disappear so as not to be detected by radar. This experiment was achieved and the ship was made invisible to the naked eye removing it from time and space. But, there were unexpected and drastic side effects in catastrophic proportion to the people involved. Sailors were transported out of this dimension along with the ship. When they returned, they were disoriented and horrified. Some were actually embedded in the bulkhead of the ship. Not all survived, but those that did were dismissed as mentally unfit and discharged from the Navy in an effort to cover up the experiment. Dr. John von Neumann continued research after the war with the goal of finding out what made the mind tick and why people could not be subject to inter-dimensional phenomena without disaster. This research was done under the 'Phoenix Project'. Von Neumann had vast resources available to him through the military which included a database of Nazi psychological research. With this Von Neumann attempted to connect computer technology with sophisticated radio equipment so he could link people's minds with the computers. He was successful in having human thoughts received by esoteric crystal radio receivers and relayed into a computer that stored the thoughts as bits of information. These bits of information could be displayed on the computer screen and printed out on paper, creating a virtual mind reading machine. With this technology a psychic could think a thought that would be transmitted to the computer and affect the mind of another human being. After Congress read the report they ordered the project disbanded out of fear of their own minds being controlled. But! In the private sector they did not heed to Congress's order to disband the project and seduced the military into using the technology in warfare to control enemy minds. A secret group with Military ties and deep financial pockets developed a new research facility at a derelict Air Force base at Montauk Point, New York. This Air Station housed a SAGE radar antenna that emits 400-425 MHtz of frequency, which is the same band of frequency needed to enter the consciousness of the human mind. By 1972, the Montauk Project was fully underway with massive mind control experimentation being done on humans, animals, and other forms of consciousness. Montauk didn't stop there. They continued to develop the psychic abilities of people using hardware to amplify their thoughts thereby manifesting illusions both subjectively and objectively. They went so far as to discover that a psychic could manifest matter to appear at any given time. It was this discovery that led to the idea of bending time. After years of research, time portals were opened with massive and outrageous experiments. The Montauk Project came to a bizarre climax with a time vortex being opened in 1943 and the original Philadelphia experiment.